Trial of alleged husband killer, Maryam Sanda, begins today – Royal Times of Nigeria. 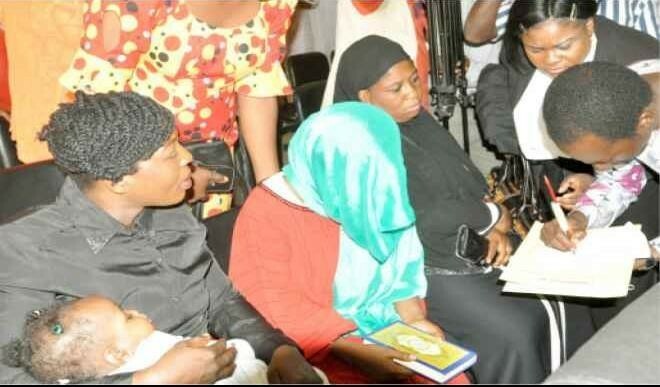 The trial of Maryam Sanda, the woman who stabbed her husband, Bilyaminu Bello, son of former PDP chairman Haliru Bello, to death at their home in Abuja last November, begins today at the High Court in Jabi, Abuja. Maryam stabbed her husband, Bilyaminu, multiple times while they were having an argument at their home in Abuja. The court had adjourned the case for definite hearing today March 19th while striking out her first attempt for bail. However, the court granted her bail application at the fifth time of asking on March 7th after it was satisfied with the reasons given in the application. The Nigeria police force who is prosecuting her, will present its first witness in court today. Two judges recommended for dismissal by NJC.